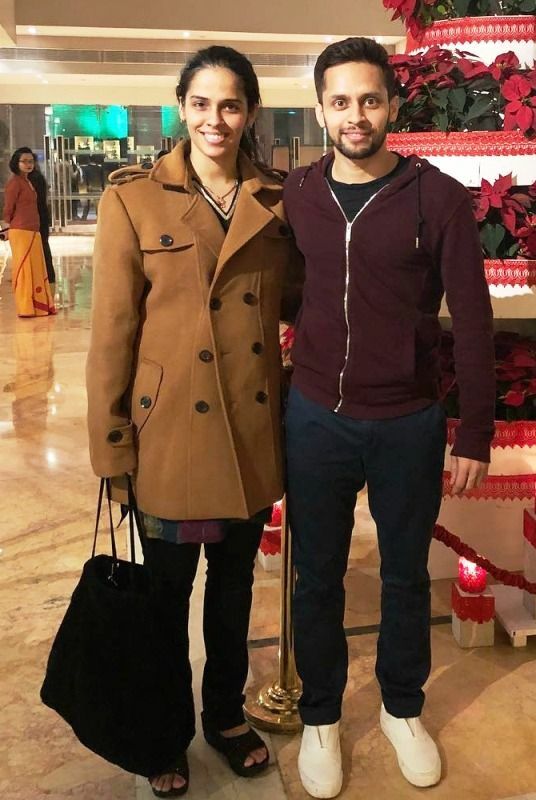 Although the news of their marriage was out last month, it was only today Saina confirmed the date. The couple isde said to be secretly dating since 2007. The 28 years old shuttler said in a recent interview that this was the right time for her to get married. She also added that due to her busy schedule this year, December 16 was the only date available to tie the knot. Speaking on the schedule she added that from December 20 she would be involved with the Premier Badminton League, after which the qualifiers for the Tokyo Games were in line. The 32 years old, Parupalli Kashyap has been a professional badminton player since 2005. He has played many matches at the International level and also won the gold medal in men’s singles at 2014 Glasgow Commonwealth Games. The Indian Government had awarded Parupalli, with the prestigious Arjuna Award in 2012. Sharing about her relationship with Parupalli, Saina revealed that they began to travel for bigger tours from 2007-08, where they played together at the tournaments. She added that they also trained together and after a while, their focus got indulged in each other’s matches. During these times, she remembers, it got easier to talk to each other about various things including their matches and eventually they started growing feelings for each other. She also said that Kashyap helps her during the coaching. Earlier this year, Saina hit the headlines when she won the Gold medal in Commonwealth Games 2018 after beating PV Sindhu in the finals. She also clinched bronze at Jakarta Asian games 2018 and won India’s first individual medal after 36 years in Badminton. Saina also assured that she doesn’t mind when comparisons are drawn between her and PV Sindhu. She said that it drives her to work harder. Although she mentioned that, Carolina Marin, Akane Yamaguchi, and Tai Tzu-Ying, among the International players whom she finds difficult to handle.